My Tiny Corner of the Internet. 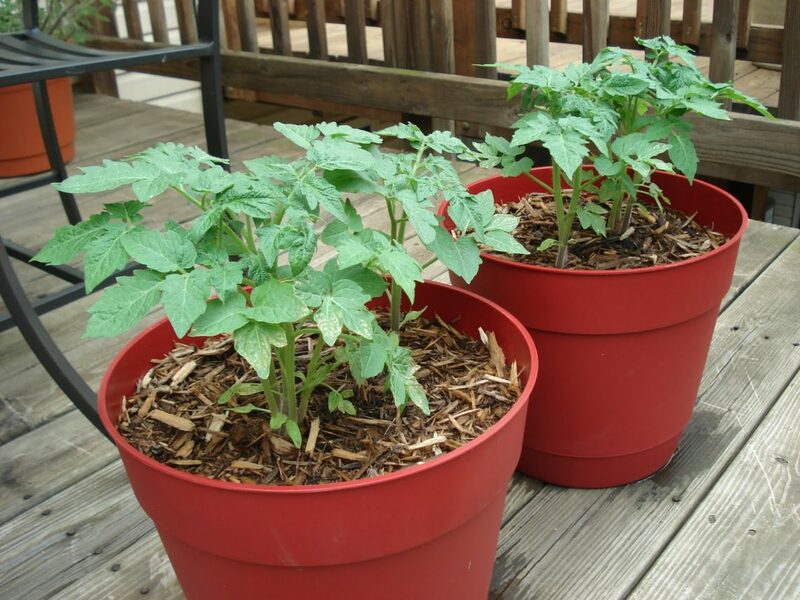 I read that tomatoes are easily grown on patios using clay pots, plastic nursery pots or wood boxes. I am not sure if easy is the right word but it sure is rewarding! My tomato plant didn’t fruit as many tomatoes as I dreamed it would – but every bite was work the work! Miniature tomato varieties can grow in an 8-inch pot—roughly the size of a one-gallon container. Larger, indeterminate or vining tomatoes need a 2-gallon or a 5-gallon container to support and hold enough soil moisture for three or more days when the weather turns hot. Be sure the container has large drainage holes in the bottom and small feet to allow for drainage (or make your own feet with little wood strips). Plant tomatoes just like you would in a garden. Pinch off the lower leaves of seedlings and set them as deep as you can in the soil. If you are growing a vining, indeterminate variety, I love using a cage just as I would in the garden. Be prepared to prune your plant so it does not tip your planter. Avoid watering late in the evening or watering plant leaves; this encourages disease. Container grown tomatoes—like tomatoes in the garden– should receive maximum sunlight, 8 hours– 4 hours in morning and 4 hours in afternoon—is optimal. If you are growing on a balcony, turn the container at least once a week so that the plant develops symmetrically. Aid pollination and fruiting by gently shaking the plants once a day to ensure pollination. Keep an eye out for weeds and watch for pests and diseases. Choose any variety you like as long as you also choose a container large enough. 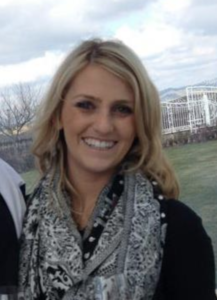 Hi, my name is Danielle. I am a curious 31 year-old woman with many passions.